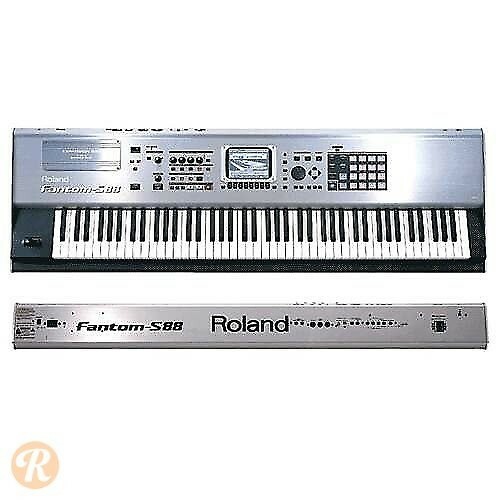 An 88 key workstation in Roland's Fantom series, with an emphasis on sampling and audio manipulation, the Roland Fantom S88 is capable of turning out entire songs quickly. Features advanced time stretching abilities in addition to sampler and synthesis abilities. Sports 16 velocity sensitive pads in addition to it's fully weighted keybed.